If you are already enjoying a Dubai Holiday or planning one and happen to be a music enthusiast then here is a list of Dubai concerts in March. An OMG spectacle is expected to rock Dubai as for the first time the R&B-pop star ‘Usher’ will perform live in Dubai. He is ranked as the number one Hot 100 artist of the 2000s decade listed by Billboard Magazine. He is also named as second most successful artist of the 2000s decade and one of the 50 sexiest men alive by Glamour Magazine. Tickets are already selling like hot cakes and is considered as the most anticipated concert. The global phenomenon and renowned musician, producer, performer, composer and DJ Edward Maya will be visiting Dubai with his latest single Desert Rain. With Stereo love making it to the Top 20 all over the world Edward Maya is undoubtedly labeled as musical prodigy of our times. So get ready to party with Edward till it will rain in the desert and avail Dubai last minute deals or get 50 money saving vouchers by booking a Dubai Self Catering Apartment. US rapper Bow wow will perform his concert at Chi club in Dubai. A leading voice in the Hip Hop community Bow wow is all set to get himself established as Hip Hop mogul. With a sonorous yet soulful style of singing, Atif Aslam and Imran Khan are all set to electrify the people of Dubai. Be a part of this magical and exciting evening book your Dubai short stay apartment or Dubai furnished apartment now. 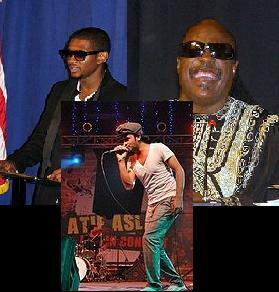 When you are as talented as Stevie Wonder, adversity is almost something to laugh at. With more top 10 hits to his name than any other male solo artist in the North American Billboard charts, Wonder also enjoy as being the most honored Grammy Award-winning solo musician with a total of 22 songs. And what more Yas Island is only 45 minutes drive from our luxuriously furnished Dubai Serviced Apartments and Dubai Beach Apartments. So get ready to groove, move, dance and book your stay at our Dubai rental apartments and for instant booking visit our Dubai accommodation page. Please give us more details about Concerts in Dubai. Really look forward to them. Wow a blog that tells about Concerts in Dubai and with that much detail. good job dude. bookmarking you!